Live score commentary of the Premier League match between Crystal Palace and Manchester City. Kick-off is set for 2.05pm BST at Selhurst Park on Sunday. That though is all we have time for today, I have been Brandon Sayer taking you through this game, but until next time, have a good day. City get the win but they made it nervous for themselves right until the end of the game. Sterling doubled the visitors lead in the 63rd minute before Milivojevic got one back with ten minutes to go. Jesus then came off the bench to seal the victory for the visitors and earn them a massive three points and put all of the pressure on Liverpool, who take on Chelsea in the next part of Super Sunday. 90+3' - The referee blows his whistle to end the game. Crystal Palace 1-3 Manchester City. 90' - The referee has decided to add on three minutes at the end of the second half. 90' - Goal for City! Jesus gets a third goal for City. 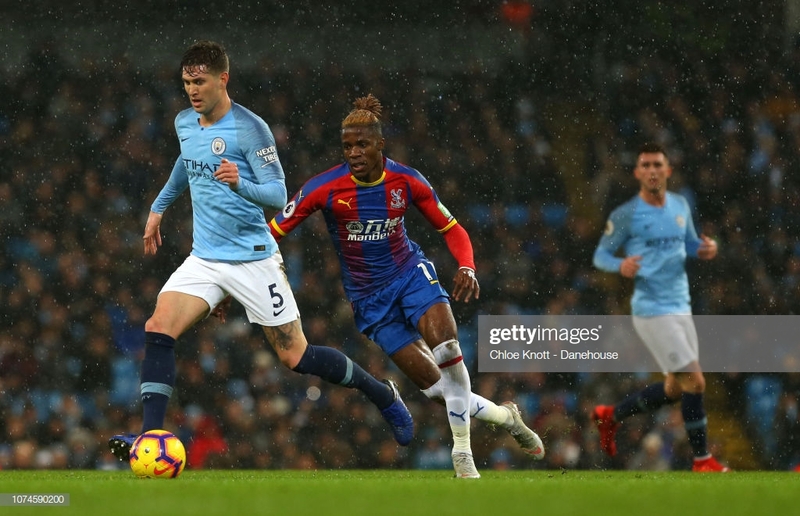 In search on equaliser, Palace were caught on the break as De Bruyne found Jesus, who calmly slotted the ball into the back of the net to seal the three points for City. 87' - Manchester City substitution: Sane is replaced by John Stones. 85' - Crystal Palace substitution: McArthur is replaced by Bakary Sako. 81' - Goal for Crystal Palace! Milivojevic gets one back for the hosts. The goal came from a free-kick from just outside the box. Game on again. 77' - Crystal Palace substitution: Townsend is replaced by Max Meyer. 75' - Manchester City substitution: Aguero is replaced by Gabriel Jesus. 64' - Manchester City substitution: David Silva is replaced by Bernardo Silva. 63' - Goal for City! Sterling grabs his and his sides second goal of the game. The goal all came from a patient build up with Sane finding Sterling the box with a cross and the winger fired home to all but assure his side take the three points with them. 55' - It's been a much more even start to the start of the second half but neither side has created a good opportunity this half yet. 46' - Referee Martin Atkinson blows his whistle to begin the second half. Game on! Palace need to come up with a different gameplan in the second half to try and get back into the game. Will they be able to do it? Stay tuned to find out as we bring you the second half live in a few minutes time! Well City are deservedly in front at the break as Sterling, who missed a sitter early on, made up for it by giving the visitors the all important lead in the 15th minute. They are unlucky to not have scored more in the first half as they have totally dominated the game. 45+2' - The referee blows his whistle to end the first half. Crystal Palace 0-1 Manchester City. 45' - Somehow City don't score a second goal as a brilliant pass into the box from Gudogan found De Bruyne, who saw his goalbound shot saved by Guaita and the from the follow up, the Palace defence somehow scramble the ball clear. 40' - It has been attack versus defence the last ten minutes or so. Palace though, credit to them are doing well with all of the movement that the City front players are doing. 30' - Finally after a long period of dominance from City, Palace sprung a good attack together and Zaha forced Ederson into a smart save at his near post. 22' - Crystal Palace substitution: Schlupp is replaced by Kouyate. 15' - Goal for City! Sterling opens the scoring. The goal was created by a fantastic through ball from De Bruyne, who found Sterling, who this time made no mistake by smashing the ball into the back of the net. 10' - What a miss from Sterling! David Silva set up the chance with a fantastic run into the box and his pull back to Sterling left the winger with an open goal but somehow he put his shot wide of the goal. 7' - As was to expected, City have had all of the ball in the early minutes but the only shot on goal has come from the home side as Milivojevic tried his luck from range but it went over the bar. 1' - Referee Martin Atkinson blows his whistle to begin this very important game. Game on! 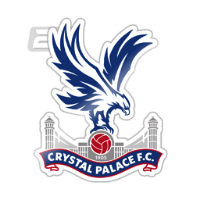 Crystal Palace substitutes: Ward, Meyer, Kouyate, Hennessey, Ayew, Batshuayi, Sako. Manchester City substitutes: Danilo, Stones, Bernardo Silva, Mahrez, Otamendi, Gabriel Jesus, Muric. Crystal Palace starting XI: Guaita, Wan Bissaka, Kelly, Dann, Van Aanholt, McArthur, Milivojevic, Schlupp, Townsend, Benteke, Zaha. Manchester City starting XI: Ederson, Walker, Kompany (C), Laporte, Mendy, Gundogan, Silva, De Bruyne, Sane, Sterling, Aguero. Stay tuned as we bring you the live team news at around 1.05pm BST! But until then sit back and watch how all the other action goes on Friday evening and Saturday. On the other hand, City have received better news on the injury front as Guardiola revealed that both Bernardo Silva and Oleksander Zinchenko are both recovering well and could play a part this weekend after missing the midweek game. In terms of team news for the game, Palace received some bad news on the injury front as James Thomkins has been ruled out for the rest of the season after injuring himself against Newcastle. Mamadou Sakho is also still on the sidelines for the game but he is making good progress with his knee injury. Guardiola will be looking for a response from his side coming into the game after they lost the first leg of their UEFA Champions League tie against Tottenham Hotspur 1-0 on Tuesday night. The goal on the night for Spurs was scored by Son Heung-min. City, though, need no reminding how difficult it is to defeat the Eagles as the meeting earlier in the season ended in a 3-2 win for Roy Hodgson's men at the Etihad. City took the lead on the day through Ikay Gundogan but goals from Jeffrey Schlupp, Andros Townsend and Luka Milivojević saw Palace take home the points despite Kevin de Bruyne scoring late on to make it a tensh finish. This weekend's game though will not be an easy one as the Eagles come into the game after defeating Newcastle United 1-0 last weekend. They also come into this game knowing that one more win basically confirms their safety in the Premier League next season. With only six games to go in the Premier League, the title race is set to go down to the wire with Pep Guardiola's side going into the game two points behind Liverpool but with a game in hand. Hello and welcome to Vavel UK's live score commentary of the Premier League match between Crystal Palace and Manchester City from Selhurst Park. Kick-off at Selhurst Park is set for 2:05 pm BST on Sunday. Stay with us though as go through a number of different things including team news one hour before kick-off.